Tired of making dinner after a long day at work? Perfect for busy families, cooking has never been easier with the Instant Pot. Simply place your ingredients into the inner pot, select your settings, and let it cook! Why shoulder unnecessary stress in the kitchen, when you can let the fancy gadget do all the work? In 2008, Robert Wang, a software engineer, was laid off from his job. With the extra time that he gained, he decided to tackle a personal problem that’s been bothering him- dinner. That is, how could he prepare healthy meals for the family, given the constraints of a busy schedule? Before he knew it, he and his peers, a group of ex-Nortel employees, had begun to work on what would eventually become “a smart multi-cooker.” After 18 months of grueling research and hard work, the team put together their first prototype, which they called the Instant Pot. Equipped with heat and pressure sensors, as well as a microprocessor, it was capable of performing a number of functions such as cooking rice, steaming food, slow cooking, and pressure cooking, among other features. When did the Instant Pot Become Popular? By 2010, the Instant Pot had been released into the market. Still, it took a couple of years for Americans to warm up to the idea of a multi-cooker. As more and more individuals got used to the notion, however, its popularity boomed. Within two years, it had gained significant traction in the US, with help from food bloggers and influencers. 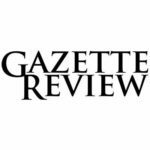 Word spread quickly about the gadget, and thousands of units flew off the shelves. Since then, the appliance’s popularity has continued to soar. Looking back, this can partly be attributed to Amazon’s Prime Day event in 2016, when the prices of Instant Pots were slashed down. A top seller, the site quickly became overwhelmed by the huge demand; before long, they ran out of inventory. With the subsequent positive reviews that came pouring in, Wang’s invention became a “No. 1 hit” on Amazon. Interestingly enough, despite having been invented in Canada, the Instant Pot initially gained popularity in the United States. It wasn’t until a few years later that it also hit the No. 1 spot on Amazon Canada. Despite the fact that the company has put in zero advertising, it has enjoyed immense success, simply due to word of mouth. Today, there are hundreds of blogs and Facebook groups dedicated to sharing Instant Pot tips and recipes. What Do People Say About the Instant Pot? Not only has the Instant Pot received numerous positive reviews online, but it has also earned the praises of celebrities such as Jimmy Fallon, who bantered about the product on his talk show. At one point, Dr. Oz even featured a lengthy segment on The Dr. Oz Show, where he taught his audiences how to cook with the multi-cooker. What does the Instant Pot Do? An electric multi-cooker, the Instant Pot can do the job of multiple appliances including that of a rice cooker, pressure cooker, slow cooker, steamer, sauté pan, and more. Not only does its versatility win points, but its consolidation of kitchen appliances into one also means that you can save yourself some counter space and money. Equipped with 3rd generation technology and an array of sensors, the multi-cooker is extremely efficient, not to mention safe, when it comes to monitoring temperature, and pressure. As such, you’re able to get the desired results every time, with the press of a button. In addition to its seven functions*, the Instant Pot also comes with over a dozen built-in preset programs, that easily allows you to prepare a dish. These include: rice, poultry, bean/chili, meat/stew, keep warm, saute, porridge, yogurt, and more. How Many Different Types of Instant Pot Are There? Since the launch of the original Instant Pot in 2010, the company has been coming out with a new model every 12 to 18 months, in response to customer feedback. Considering that, it’s not all too surprising that they are currently a handful of iterations that are available on the market. The Lux Series: The most “basic” of Instant Pots (i.e. one of the older generations), it combines the functions of six appliances- that is, it is capable of acting as a food warmer, steamer, slow cooker, pressure cooker, rice cooker, and sauté pan. In terms of other features, it also comes with 12 built-in programs, which makes cooking a breeze. Available in four sizes: 3, 5, 6, and 8 quarts. The Duo Series: A step up from the Lux, the Duo does everything that its predecessor is capable of doing, with the addition of making yogurt. Similar to the Lux, it features the same 12 preset programs, though it is not available as a 5 quart. The Duo Plus Series: A best seller, the Duo Plus is an obvious improvement over the Duo. Along with the same features of the Lux and Duo, it also comes with “sterilizing”, “egg”, and “cake” settings. Not only that, but it utilizes a much larger LCD screen, with easier to see icons. The Ultra Series: The newest addition to the Instant Pot family, this model comes with a new “Ultra” button, that allows for personalized programming. In addition to that, it also features a steam release reset button and more precise cooking times. In contrast to its predecessors, the Ultra utilizes a dial for smart program selection. The Smart Series: The ultimate model, the Smart is most noteworthy for its Bluetooth capabilities. Not only are you able to program cooking steps into recipes using the official app, but you’re also able to monitor the entire process on your smartphone or tablet. Features wise, it comes with the same functions and preset programs as its predecessor. As impressive as it is, the Instant Pot is not without flaws. Below, we will be going over some of the multi-cookers pros and cons. This should be a no-brainer. Considering its capabilities as a multi-cooker, the Instant Pot will be all that you’ll need on your kitchen countertop! Unlike many of the other cookers that are on the market, the Instant Pot’s interior pot is made out of food grade stainless steel. This is huge. Compared to the 6-8 hours that it might take to prepare a roast with traditional methods, the Instant Pot can easily complete it in less than an hour. Who wants to wait so long for their food to be ready anyway? Designed with energy efficiency in mind, it saves up to 70% electricity compared to other kitchen appliances. This means less power consumption and less heat output in the surrounding area. While some parts should not be placed in the dishwasher (e.g. anti-block shield, cooking base), most components can safely be washed with the appliance, including the interior pot. As mentioned earlier, the Instant Pot comes in a number of models and sizes. Depending on your preferences, you can purchase the one best suited for your needs. For those who’ve never used a multi-cooker, there can be a little bit of a learning curve. With that said, you’ll easily get used to it with a just a few uses. For a kitchen gadget, the Instant Pot can be a bit pricey (i.e. generally $100+). With that said, you can easily snag one on sale. While it comes with some items, most of the “cool” accessories (e.g. glass lid, steamer insert, etc.) must be bought separately. Especially true for the larger models, the Instant Pot can take up quite a bit of room on your countertop. Fortunately, you probably won’t be needing any other appliances. Interested in trying out the multi-cooker? 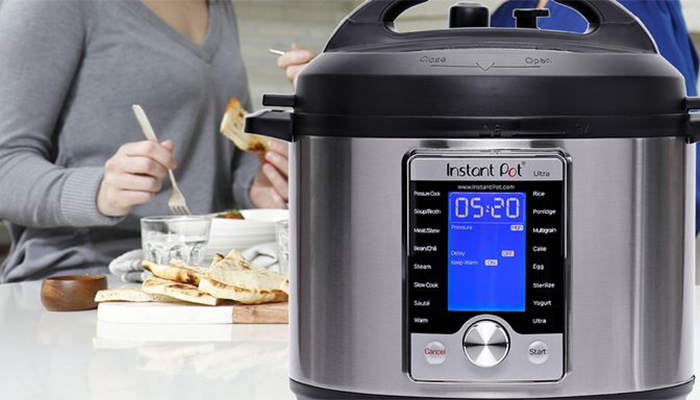 If so, you’re in luck- we’ve compiled some of the best Instant Pot deals below. We’ll be updating this page as more offers become available, so be sure to check back even if there aren’t many listed right now.